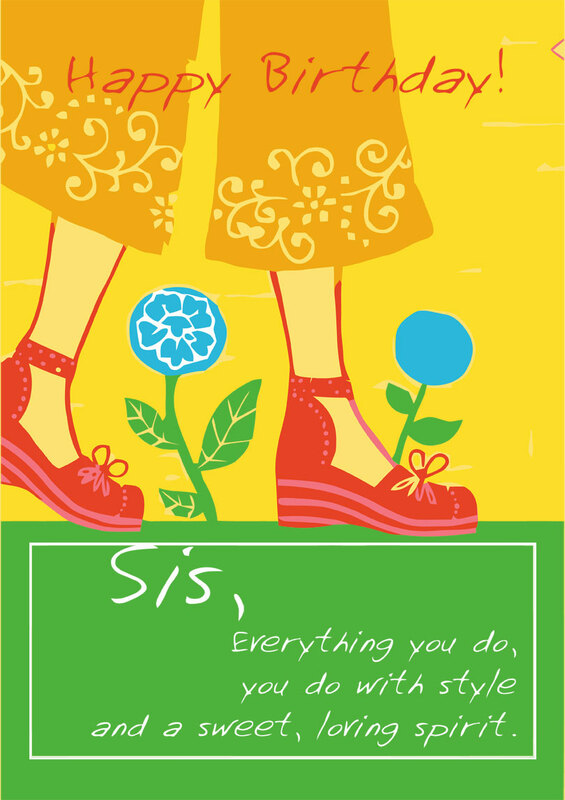 Below are some great messages, sayings and quotes for any Sisters Birthday Card. Most words are generic and can be used on this particular birthday card or any other sisters birthday card. 1. Sweet - A smile from my Sister takes priority in my day. You Sister's love is just a a phone call away!! 2. Funny - Sisters can be crazy. The can be selfish and bossy and steal your clothes all the time. But it takes a really great and wonderful person like me to accept them despite their flaws. 4. Funny - When I think about how much I love my sister only 2 words come to mind... "AS IF!" ... Just kidding. I love you but only because I inherited the good genes in the family and you make me look good. 5. Funny - There nothing like reminding my stubborn Sister that she's another year older! Go... sleep in, you really need your beauty sleep.